#18. 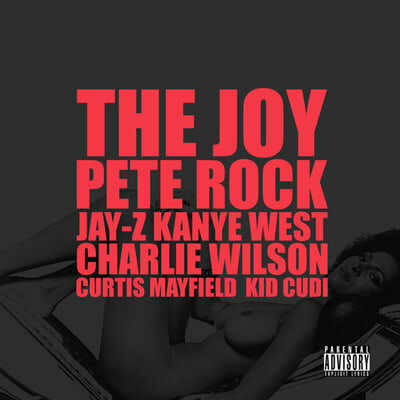 Kanye West f/ Pete Rock, Jay-Z, Charlie Wilson & Kid Cudi "The Joy"
Fans who’ve been rocking Kanye from the beginning of his career may listen to his new stuff and wonder, where is the soul? Luckily, Kanye hooked up with Pete Rock, who let the needle drop on a classic Curtis Mayfield sample that made us nostalgic for the warmth of an era we never even lived in [Ed.—speak for yourself, young'n.]. It was the perfect backdrop for two of the best lyricists in the game to team up and exam the affinities that they share for the lives that hip-hop has bestowed upon them. Kanye had so many bangers this year, but to us “The Joy” was the best G.O.O.D. Fridays release.